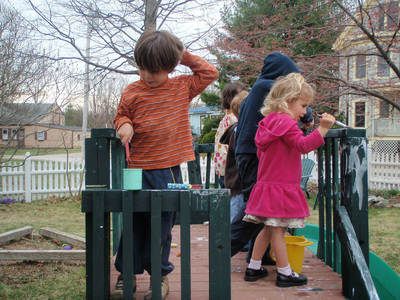 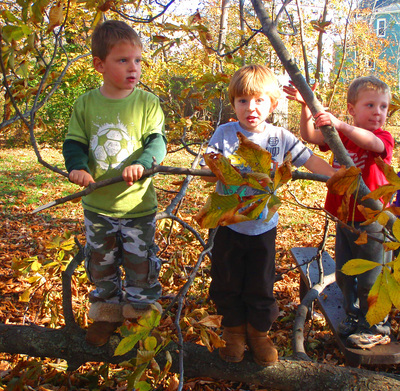 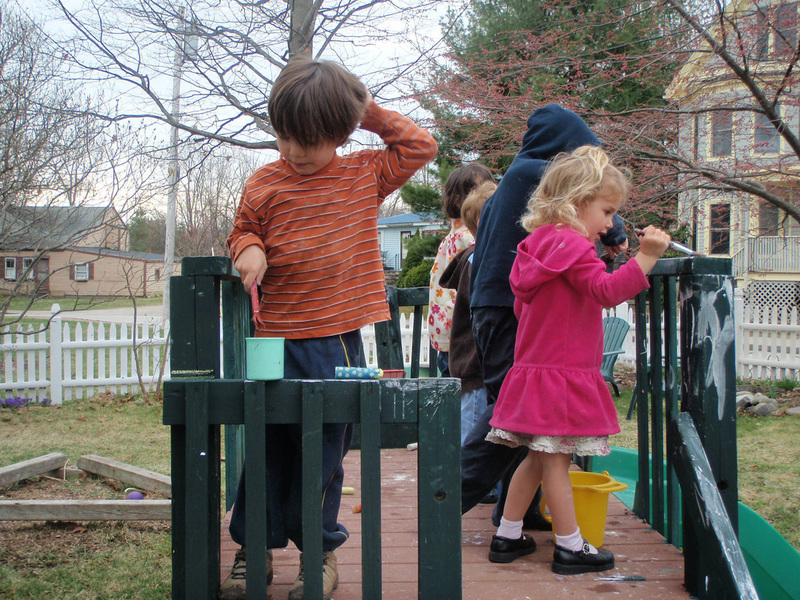 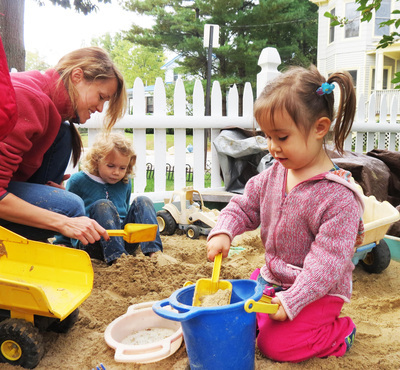 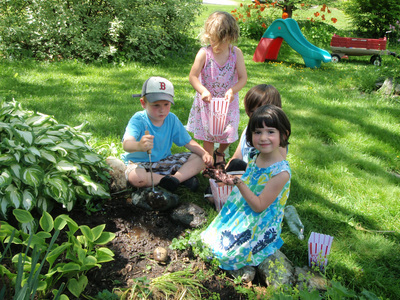 At the CPH we highly value out door play time and do not let our Maine winters stop us from going outside! 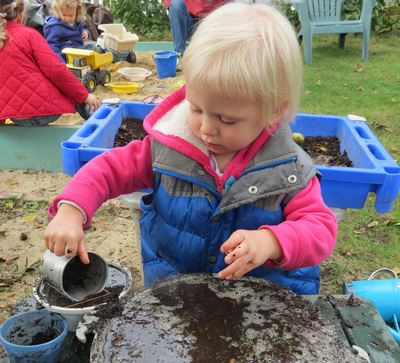 In our fenced in yard we have a fabulous Mud Kitchen, a pebble pit and sandbox for digging in, a small climbing structure, and a swing. 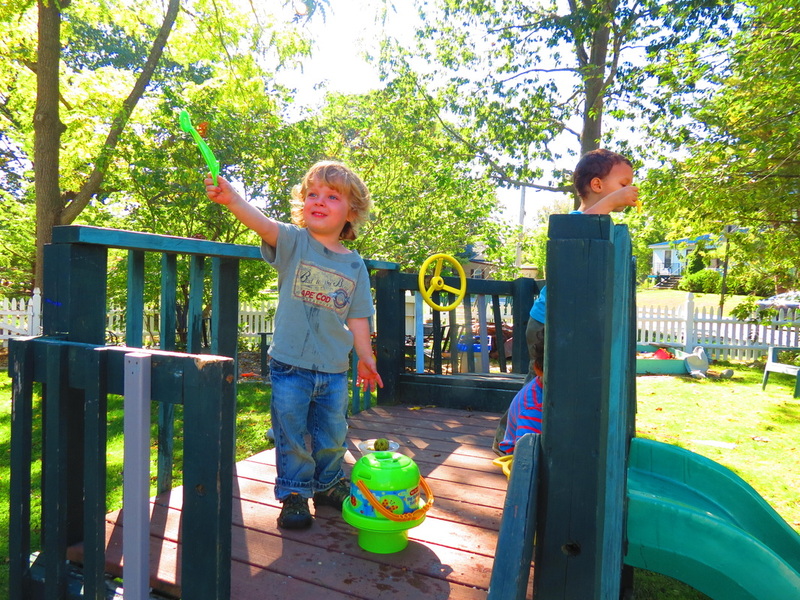 In the lovely Hesseltine Park off Ocean Avenue, which abuts our yard, there is almost an acre of land for adventuring in, with nut trees, berry bushes, swings and a toddler-appropriate play structure.